Bavella will be out to preserve her unbeaten record in next week’s Matamata Breeders’ Stakes. The leading lights of Lance Noble’s Lindsay Racing team are set to step out in feature events at Matamata on Saturday week. Snitzel filly Bavella, a brilliant stakes winner on debut at Pukekohe in November, will make her first public appearance since in the Gr. 2 J Swap Contractors Matamata Breeders’ Stakes, while last-start Wellington Cup placegetter Prince Jabeel resumes from a brief let-up in the Listed Marks Ewen & Associates Kaimai Stakes. Both horses have Group One targets a fortnight later, with Bavella being aimed at the Gr. 1 Sistema Stakes and Prince Jabeel the Gr. 1 Barfoot & Thompson Auckland Cup at Ellerslie on March 9. 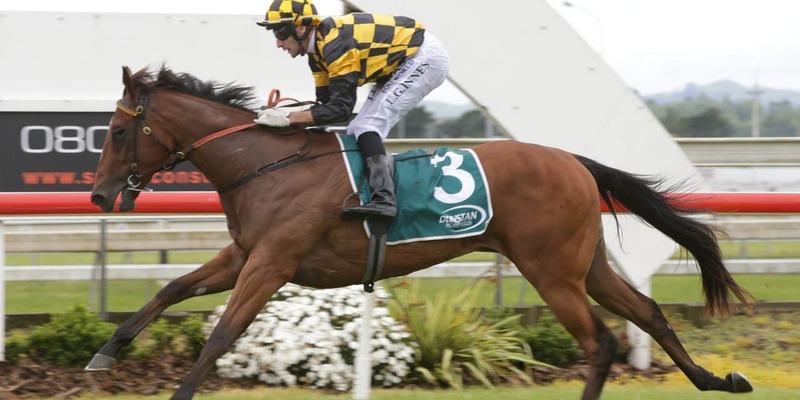 “Bavella pulled a muscle in her hind-quarters when she won at Pukekohe and she had to be confined to her box for three or four weeks,” Noble told www.theinformant.co.nz. “She’s good as gold now though and I’m very happy with where she’s at. Noble was based at Matamata until taking his position with Brendan and Jo Lindsay three years ago, and it would be hugely satisfying to win the flagship event of the racing club that he is still a director of. Prince Jabeel has made excellent progress since returning from a 10-day break after his big Trentham effort and will have just one start before stepping back up to 3200 metres in the Auckland Cup. Prince Jabeel, whose half-brother Von Tunzelman won the Kaimai Stakes in 2017, went into the Wellington Cup off a win in the Gr. 3 City of Auckland Cup at Ellerslie on New Year’s Day. His third placing at Trentham carrying 59 kilograms was very brave given he was conceding six kilos to the winner Gorbachev and runner-up Dee And Gee. With stable jockey Leith Innes suspended until March 3, Bavella and Prince Jabeel will both be ridden by Vinnie Colgan at Matamata.